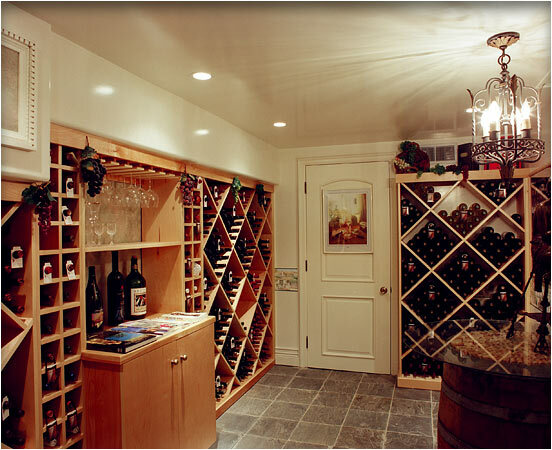 Larger Project 1-10, Wine Cellar » Roger Perron Inc. The wine cellar was constructed from an existing cellar, which we enlarged. We custom-built the cabinets in maple to accommodate the different wine bottle sizes, and added a room conditioner to maintain special temperature for the wine.